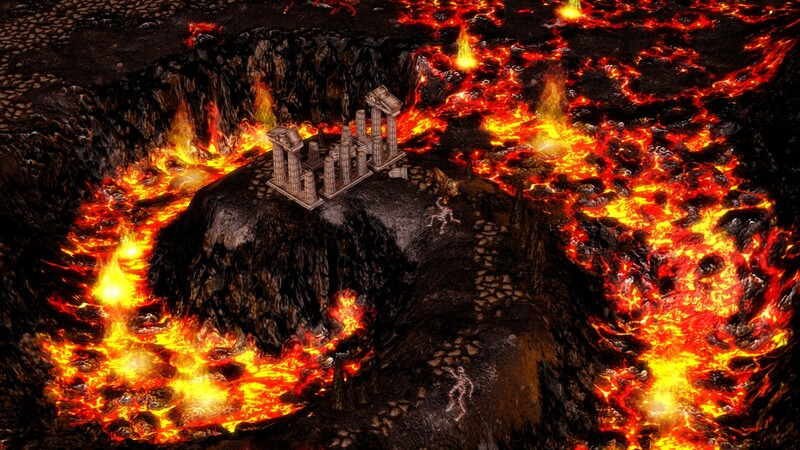 Age of Mythology brought the fantasy vanguard to the RTS genre during the early PC gaming years, bringing innovation to the limits of visual and character designs instead of regular military units that already existed, bringing life to mythical creatures ranging from centaurs to Titans. Experiencing what true heroes resembled in the modified stories of Homer brought your inner gamer as a kid, as well as checking out how cool it was to bring an army of Cyclops against weak enemy hoplites. 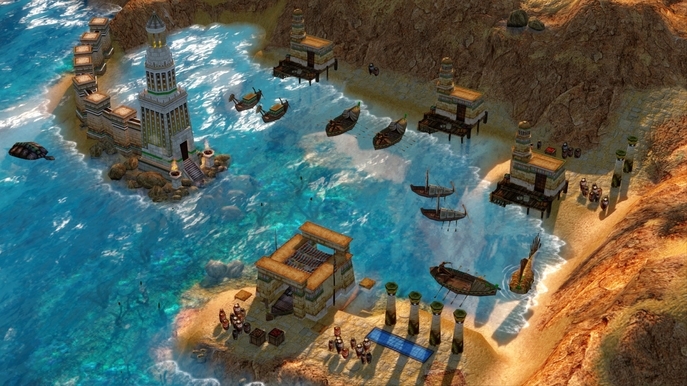 AoM’s system management mirroring Age of Empires and the Civilization games is back, bigger and…slightly better. 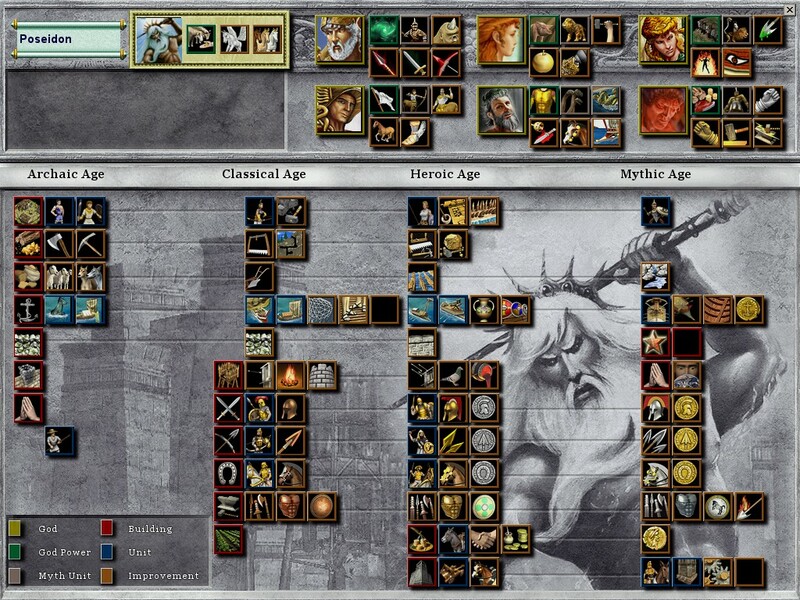 Microsoft has suddenly reached the end of the box and has found the potential of AoM in this current generation, renewing one of the best 90’s game ever made next to Age of Empires; Age of Mythology Extended Edition has arrived to Steam at a considerable price which mainly reflects new features that make gameplay easier, cooler integrations and of course visually more appealing. 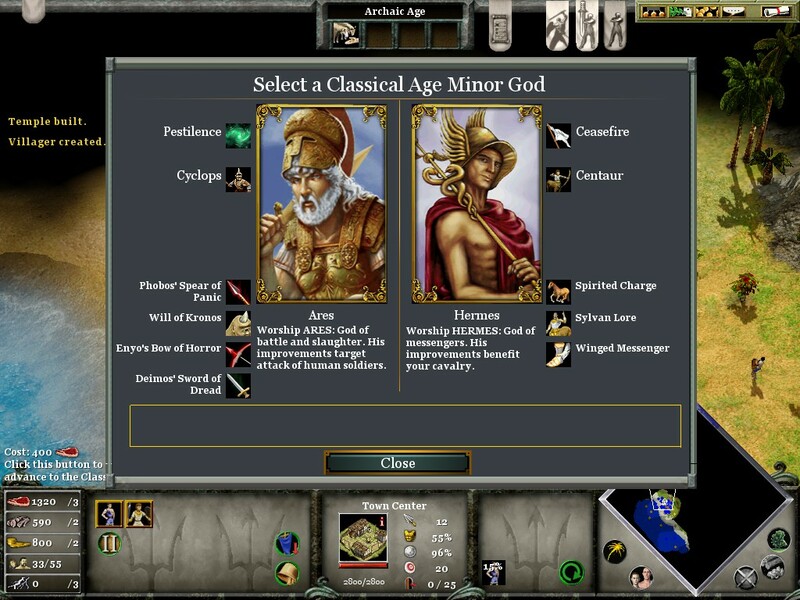 Age of Mythology + The Titans Expansion: Personally, I have the 3 CDs (two for AoM and 1 for the Expansion), now you can get both virtually, the UI is of course updated to the Titan’s Expansion. Developers are usually launching small updates to improve the game and fix bugs. Oh did I mention it also includes the alternative campaign The Golden Gift? This Norse adventure will probably bring back some memories. Public Beta with fixes from the Community: As weird as it may sound, it is basically a way of offering community created mods that improve gameplay; currently they still need some work as the game itself holds up pretty well. Steamworks Integration and Workshop: Back in the day you used to create maps in the awesome Editor, manage Triggers and even make soccer games with Giants kicking smaller units between to rock towers. Steam’s Workshop makes that easier to share obviously. It offers stable multiplayer matches, Achievements, Trading Cards and even has Cloud Saving! Save files are still very small but it’s an ease overall. 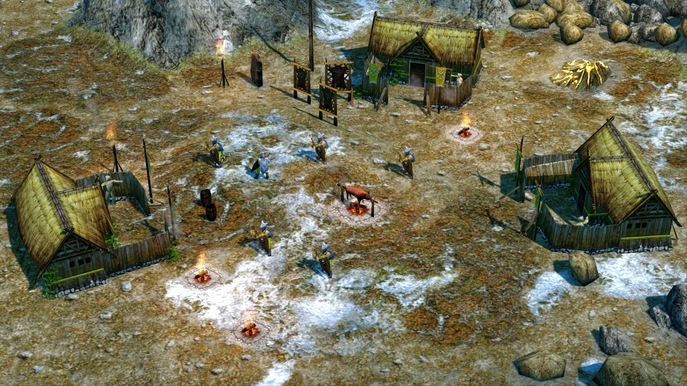 Smooth and fluid gameplay: They graphics, adapted to new end-user computers, better graphics and gameplay. Improved Water, Lightning, Shadows, antialiasing and ambient occlusion as eye candy. Some (if not all) characters have new improved textures and particles. Environments and God Powers have been treated fairly well with many current gen video adjustments that you can easily manage. Also, this new version supports Win7/8 HD Monitors, so you can see Arkantos’ eyes of determination (not really). Twitch TV Integration: In the Tools Menu you can opt to streaming your games via Twitch, not like oldschool recording and uploading to Youtube, then of course you can always do that as well. Enhanced Observer Mode: Unlock the camera and rotate it a lot easier and overall improvements. The gameplay is basically the same, the mechanics intent to make you farm for resources and fight armies with the according specialized units. Advance through Ages by paying for a high price of resources to unlock new units, buildings and general upgrades for each type of characters. Choose your main god which will allow you to choose between different other gods as you progress through the Ages and obtain their god powers, improvements and even mythical beings to fight along your army. You can play either as a Greek, an Egyptian, Norse or an Atlantean. Each “faction” has different ways of obtaining resources and their general militia works almost the same, differs only in special units such as heroes, attack patterns or unlockables. You can work your way to obtaining a Titan, a different one for each of the factions and use him as a devastating and overwhelming force of destruction, be aware that they can be killed though! If you want to play safely, you can always farm enough resources to create the popularly known Wonder and surrounded with walls, armies and towers until the timer is done and automatically win the match, this does not particularly apply to the Campaign mission of course. 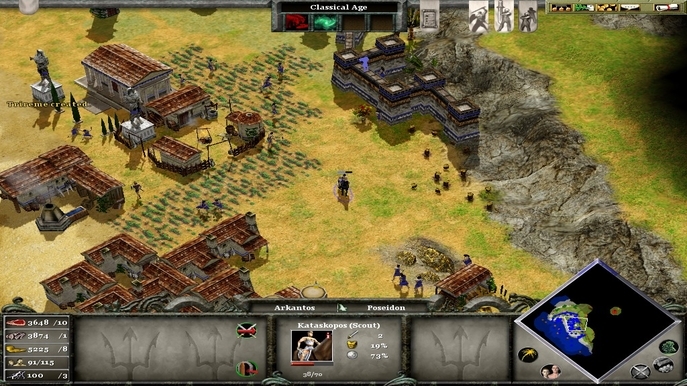 The Campaign offers objectives, defend or attack, watch engine cutscenes zooming into characters (which do not look very detailed yet) and fading in or out into gameplay. Don’t forget the junk food night, check the Atm of Erebus, raid inside a Trojan Horse for Sale and visit Mount Olympus, in caps lock! hint hint nudge nudge. The soundtrack is properly balanced and mixed in the stereo atmosphere, nothing like playing the with pan of the sounds while scrolling around the map and helping you find your characters in danger, or you know, just look at the minimap when the fighting horn is played. One of the most remembered things about Age of Mythology is the sayings that characters say as you move them to different positions and do specific actions. Every dialogue resembles Greek, Egyptian, Norse and Antlantean sayings. Voice actors in these genres do a particularly good job and sell the life they are giving to their characters. Sound FX are mostly the same, yet the sound design is very spot on as more than half this game is from sources that didn’t even existed! 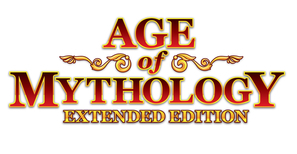 Age of Mythology: Extended Edition renews the acclaimed RTS genre, probably not enough to reflect the Steam price, but overall it is a very decent upgrade that was very deserved for this game. Personally I would suggest to hold on to a discount, this is in fact not a remake exactly With visually appealing graphics, fantastic soundtrack and oldschool gameplay mechanics it may be worth the look up. + Good fanatsy and mythological visuals. + Decent improvements and integrations to current generation.